Celebrate you. 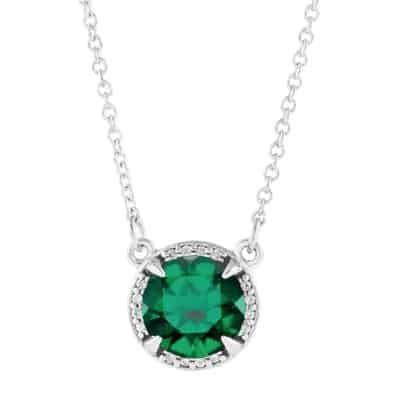 This diamond accented emerald May birthstone necklace is the perfect way to say happy birthday to you or your favorite May baby. You say it’s your birthday? 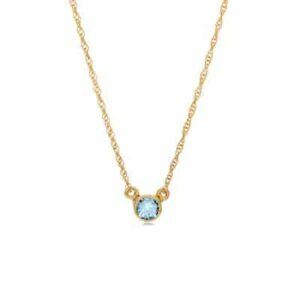 Celebrate in style with a May birthstone necklace. 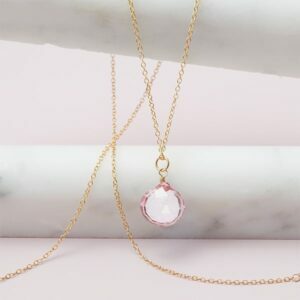 One faceted emerald framed by a halo of diamond accents, is a sparkling way to honor you everyday. 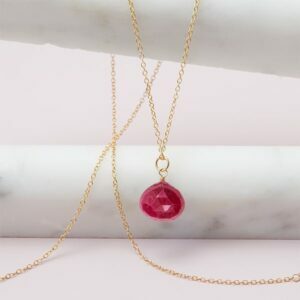 Designed with a brilliant, round emerald, this diamond-accented emerald pendant showcases your birth month with timeless beauty.